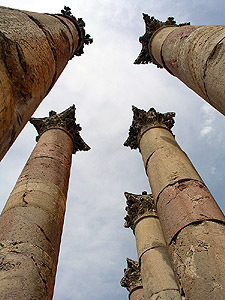 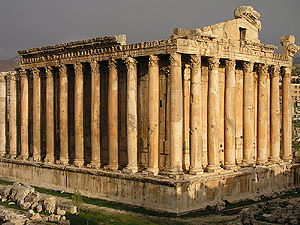 The Bacchus temple in Heliopolis (Baalbek). 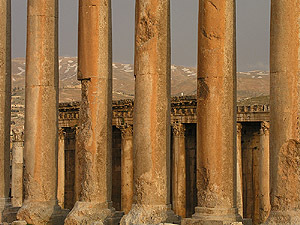 The temple of Jupiter in Baalbek, Lebanon (Libanon). 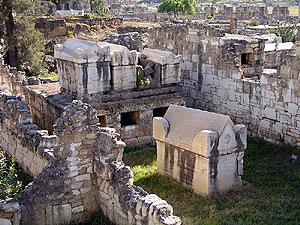 Tombs in Tyre (Tyrus), Lebanon. 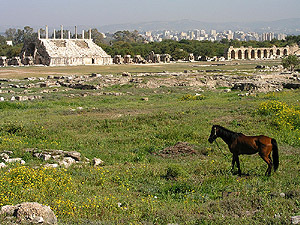 The Hippodrome of Tyre, Lebanon. 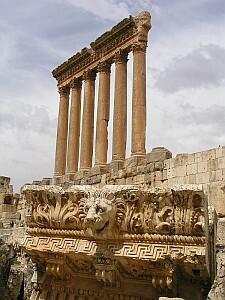 The forum of Gerasa (Jerash), Jordan. 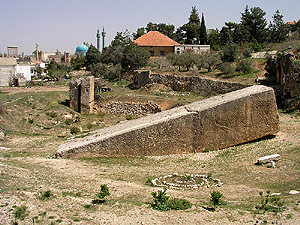 Massive building blocks at the quary of Baalbek. 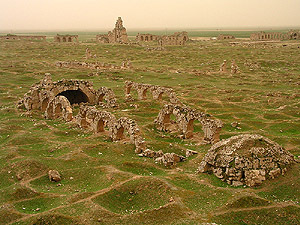 View in Google Earth. 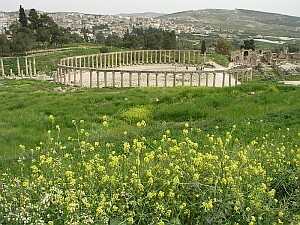 Testing the superb acoustics of the amphitheatre of Philadelphia (Amman). 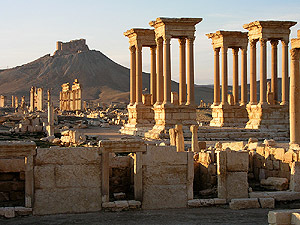 Syria - the worlds best-preserved Roman theatre. 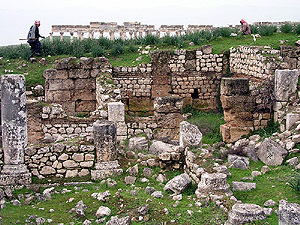 View in Google Earth. 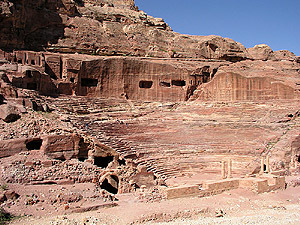 The amphitheatre of Petra, Jordan. 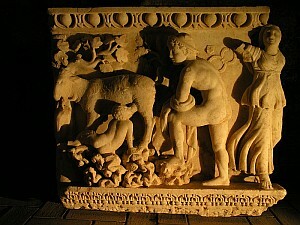 A Roman sculpture at Hierapolis (Pamukkale), Turkey. 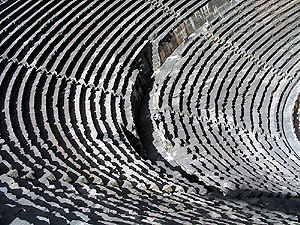 View in Google Earth. 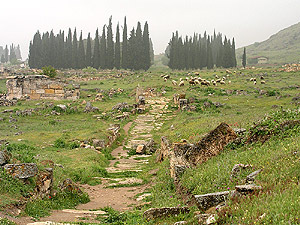 Hierapolis in Byzantium, or Pamukkale in Turkey as you like. 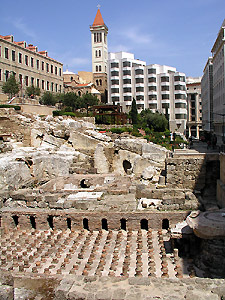 A Roman bath in Berytus (Beirut, Beyrouth), Lebanon. 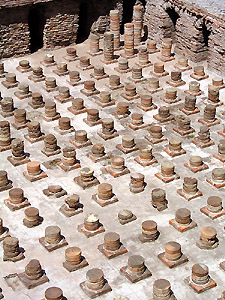 The caldarium of the thermae - the hot area.